An activity that creates a user in AgilePoint NX. To configure the Create User activity, do the procedure in this topic. 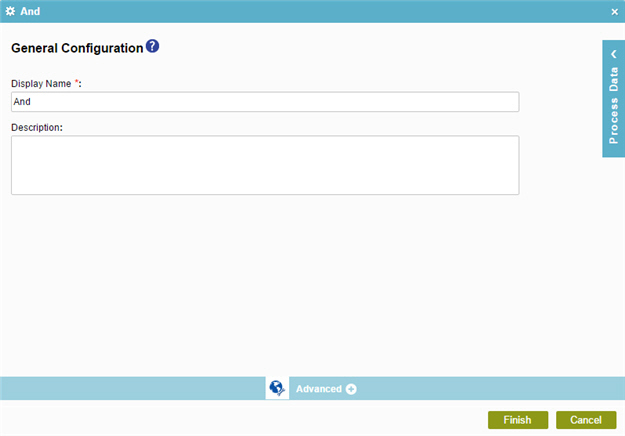 Complete the fields on the General Configuration screen. For more information, refer to Configure General Options for a System Activity. On the Create User Configuration screen, do this procedure. For more information, refer to Create a User in AgilePoint NX. (Optional) Click Advanced > E-mail Notifications . For more information, refer to Configure E-mail Notifications for Any Activity. Specifies the common information for a system activity. Specifies the activity name that shows in your process. Specifies an optional text description for your activity. 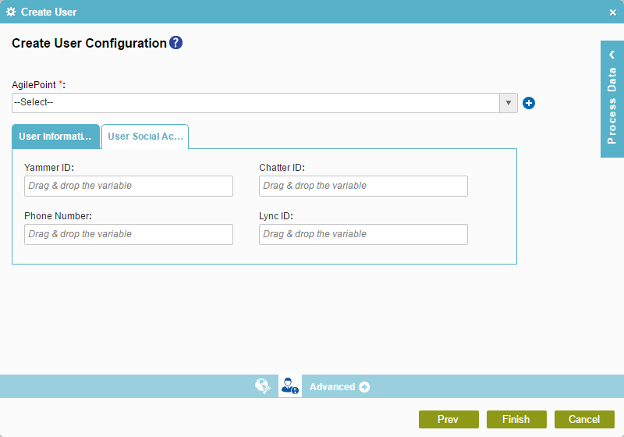 Specifies the configuration to create a user in AgilePoint NX. Specifies the access token that connects to your AgilePoint NX. A list of access tokens configured for your environment. Configure an access token to connect to AgilePoint NX. 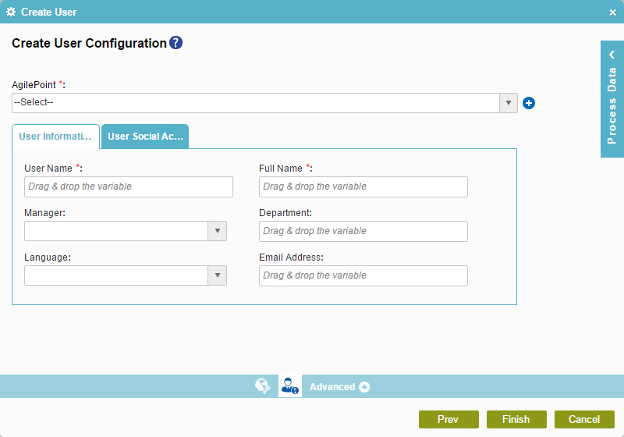 Specifies the configuration to add the users third-party social account information in AgilePoint NX.